Hormel Foods Corporation (NYSE: HRL) today reported its performance for the fiscal year 2014 third quarter. All comparisons are to the third quarter of fiscal 2013. The company reported record fiscal 2014 third quarter net earnings of $138.0 million, up 21 percent from net earnings of $113.6 million a year earlier. Diluted earnings per share for the quarter were $0.51, up 21 percent compared to $0.42 last year. Sales for the quarter were $2.3 billion, up 6 percent from the same period in fiscal 2013. “Our team was able to achieve another quarter of record sales and earnings, with sales up 6% and earnings per share up 21% versus the same quarter a year ago,” said Jeffrey M. Ettinger, chairman of the board, president and chief executive officer. 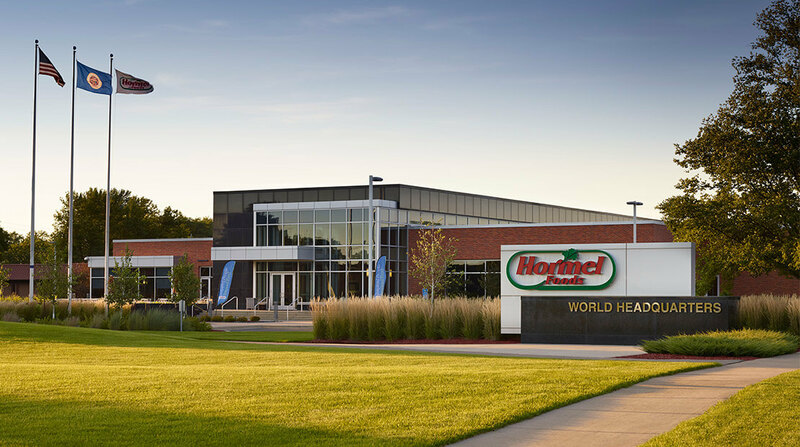 Hormel Foods Reports Record Second Quarter Results Hormel Foods reported its performance for the fiscal year 2014 second quarter.